Is Credit Card you Enemy or Friend? 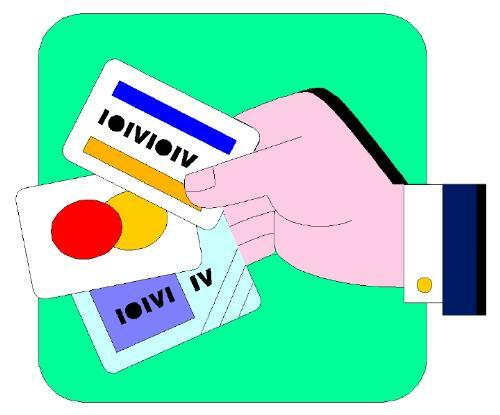 Credit card offer convenienc; however it also promotes spending. Most of my friends have credit cards and their common problem is overspending. Their rational? They've illusionned to have more money on their account. Credit cards does not only affect credit cards holders but also banks institutions since they have to deal with sky rocketing bad loans. Hi ronslove, credit card will be your friend if you know how to use it wisely. Some items are worth buying with credit cards than with cash. Such purchases that I know are home appliances, and gadgets where they give it in installment plan basis at zero percent interest. It's also very convenient to have a credit card since you don't need to bring much cash in your wallet when shopping. You could also use your credit cards during emergencies. The trick here however is being responsible for every transactions you do with your credit card. Always keep in mind that you don't have money in your credit cards. You will be paying for all your spendings with it. So be prepared to pay your credit card bills in full once to receive your bill so you won't be paying for interests and penalties. Credit card will become your enemy that will turn your finances into a disaster when you don't know how to handle your spendings. You will turn out paying the high interests. Have a great day! Thank you for the enlightening ideas. If ever there's a need for me to get a credit card, i keep thatyour advice in mind. Hi ronslove, thanks! It's good to know that I have helped you about your inquiry. Have a great day and happy posting my friend! no problem! happy posting too. I've noticed that yopu've posted a lot. Positively, a credit card is a friend for me. As a responsible credit card holder, I enjoy spending without paying any interest and getting freebies from promos. So, you haven't suffered from it. I think, it actually depends on a card holder too. Not yet and I'm doing my best so it will remain that way always. I don't wanna wake up one day with mounting credit card bills. Credit card is all about discipline and self-control. In that case it different ,its more like a lifeline for her then. That' funny. Thank you for the site. I'll check on that. Good for you that you've been a desciplined CC user. Happy posting too! I avoid online shopping. Have not tried it yet. I'm scared of Scammers and online fraud. I don't think a credit card promotes spending if you think so then you should also feel the same way about a debit card. Personally I would rather just spend the money that I already have, rather than spending the credit card company's money and then having to pay a lil extra. Exactly. That idea promotes frugality.I think one the reasons why people get a credit card is that having CC is a hip. Credit cards can be both my friend and enemy. On one hand, it provides convenience because I don't like to carry cash around. On the other hand, it is easier to overspend with a credit card because you don't usually see what you're spending until you get your bill and realize you spent too much. I'm still pretty good with my cards though because I make sure I don't spend more than I can pay off at the end of the month because I don't believe in going into debt unless you have to. But more often than not, this is more than what I should be spending. I've been having a hard time lately so I have kept my credit cards at home and don't carry it around with me. I think that helps curb the spending monster. Not carrying your CC always is s a good idea. Perhaps, we can just place it in our pocket if we have planned to buy something important. At least you have realized!Well, I think you can start again and learned from your experience. I have never misused my CC online. I have used it deligently..for instance purchased refs and made some money which wud have been impossible without CC and so far and never used it offline as others do recklessly. So certainly i'm inclined to say that its my friend and not enemy. Congratiolations for not being fooled by it.Keep up the positive attitude. If we are using credit card our purchasing tendency increases and we simply use this card to purchase online.I got only a debit card and i dont have any plan to use credit card in the future.But for doing any online transactions credit card is a must. Well, I don't shop online because I'm scared of being scammed.